The DSC BV-502 is the version of the Bravo 5 Sensor that includes a tamper switch and Form C wiring capabilities (normally open or normally closed). This sensor is a standalone ceiling-mount PIR motion detector. Purchase the DSC BV-502 Ceiling-Mount PIR Motion Detector from Alarm Grid. The DSC BV-502 Bravo 5 Sensor is a ceiling-mount PIR motion detector. This hardwired motion is installed on a ceiling to monitor for any motion that occurs below. The sensor is specifically designed to respond to human intruders, while also ignoring other sources of motion in the area. A passive infrared (PIR) sensor works by scanning an area for infrared energy. If motion occurs, there will be a change in infrared energy. The sensor can recognize a major change in infrared energy and alert the system to the motion. This process works very well for accurately detecting any intruders that are present. The Bravo 5 features multi-level signal processing (MLSP) to actively distinguish between the IR energy signatures of humans and the energy signatures of pets or inanimate objects. Additionally, the sensor utilizes temperature compensation to detect intruders when the ambient temperature is close to that of the human body. The digital signal analysis of the Bravo 5 Sensor provides consistent detection across the entire coverage area. Please note that this form of the Bravo 5 Sensor is Form C (normally open or normally closed wiring), and it features a tamper switch. 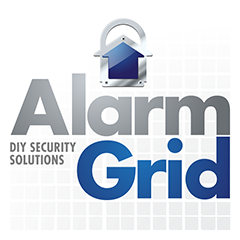 Alarm Grid also offers two Form A (normally closed wiring only) versions of this same sensor - one with a tamper switch and one without a tamper switch. This ceiling mount motion sensor is also available in a form that includes a glass break detector.